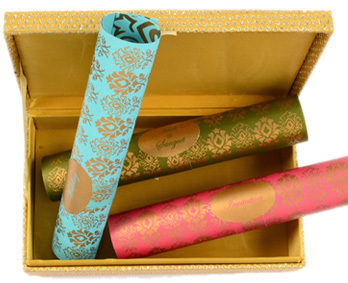 More than 900 Scroll designs. 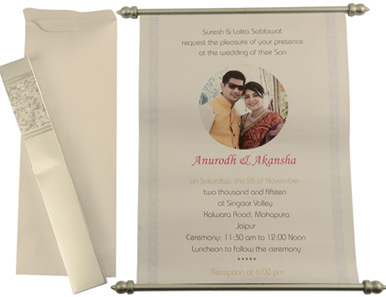 Watch Videos of Invitations. 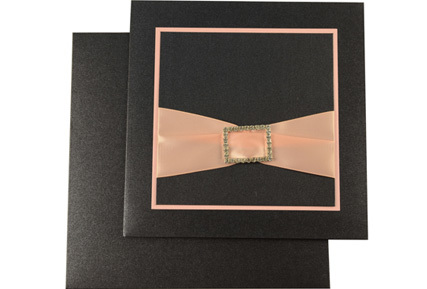 2500+ Unique Invitations designs. 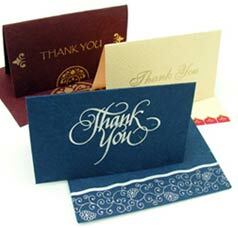 More than 5000 satisfied customers. Online since 2003. Clients in more than 100 countries. Handmade Paper Manufacturing unit. Full Customization offered. In-house Design Department. The royal weddings have a delicate touch of class and magnificence that instantly attracts attention. 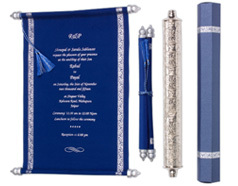 Give your wedding opulence and grandeur of royal wedding by choosing beautiful Scroll Wedding Invitations. 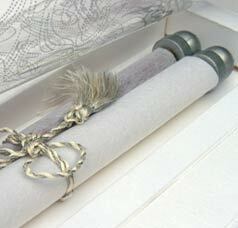 We, at Scroll Wedding Invitations, are pioneers in designing scrolls. 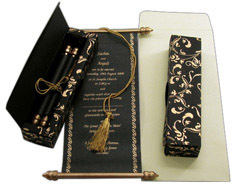 We provide you exquisite collection of Wedding Scrolls, Box Scrolls, Colored Scrolls, Long Scrolls and Theme Based Scrolls. 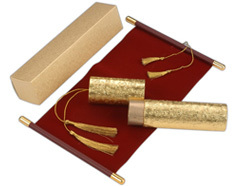 All our scrolls are created using premium quality handmade papers, shimmering velvet, golden bars and Zari tassels. 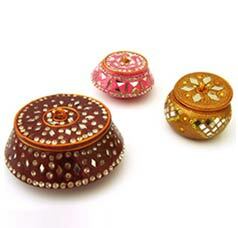 The exotic detailing on the carrying box will win the heart of your guests in the very first look. 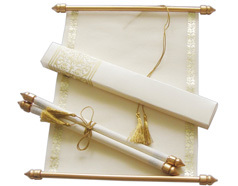 Here is a wonderful opportunity to give your wedding a touch of Sophistication & Class by choosing our Wedding scrolls to make the unions of two loving souls a royal affair. 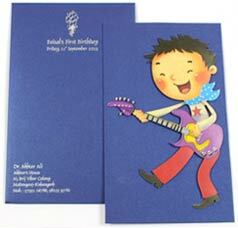 The free customization feature will give a personal touch to the card, so it blends beautifully with your persona. 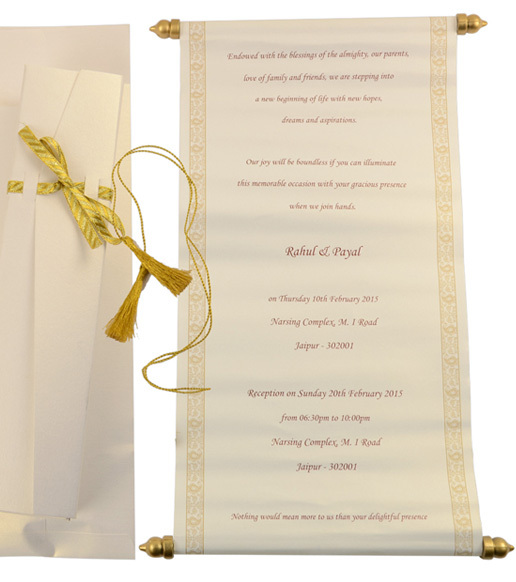 Come & Explore the Regal World of Royals Scroll Invitation Card with Us!